The inscription caught my attention, both because they are somewhat rare, but also because something seemed amiss. First of all I couldn’t quite grasp to whom it was written, and secondly the truncated name seemed unprofessor-like. I decided to leave the $50 in my pocket. When I returned home I discovered Norman indeed signed his name in full, and more importantly, the inscription date (December, 1990) occurred after his death date (August, 1990). 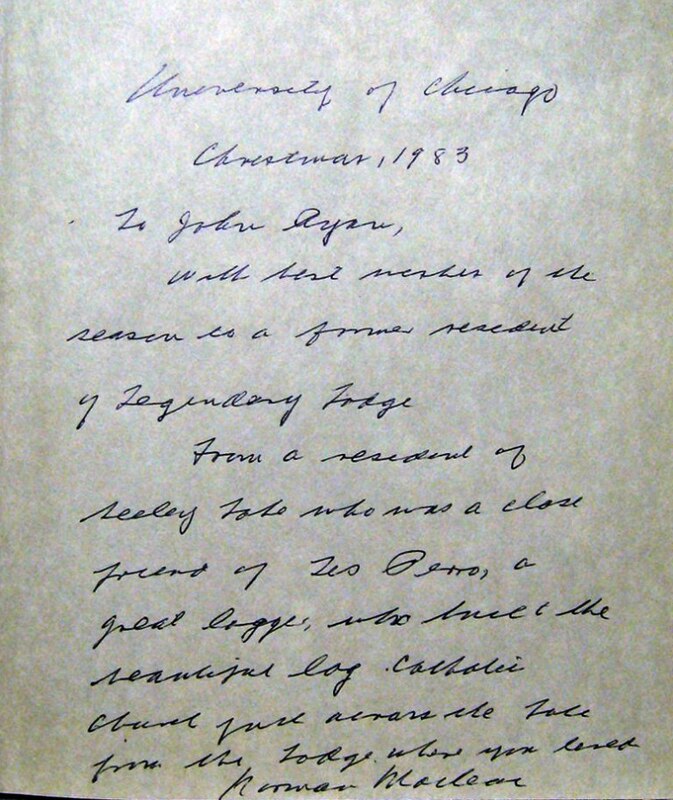 Do you think the handwriting in these two documents has been written by the same individual? 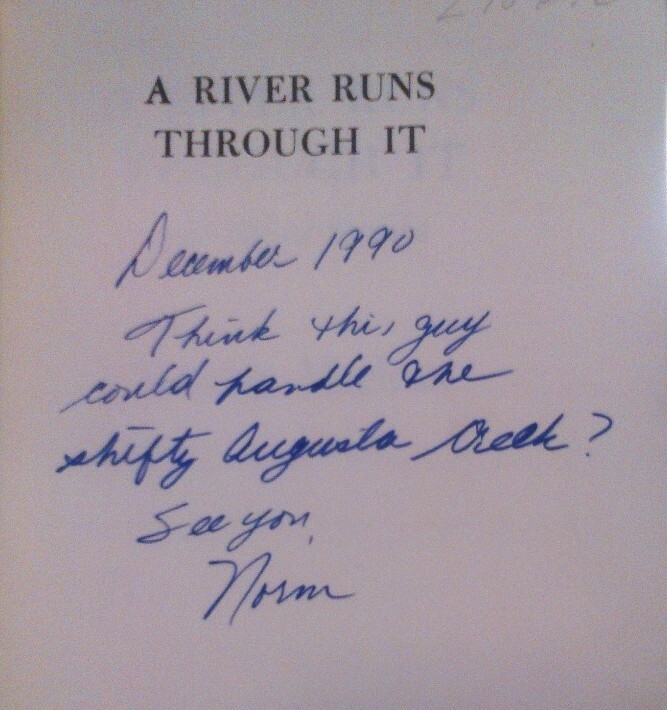 They look quite dissimilar – the tone of the inscription might indicate someone named “Norm” was giving the book to a friend and simply referencing Norman Maclean, in which case the inscriber would not have been Norman Maclean. Just an observation. Jeff- I agree with your observation. For the avoidance of doubt, No- I do not think the handwriting is Norman McLean’s. In fact, that a random Norm dedicated the book (which was very popular in December of 1990) is the only plausible explanation outside of a forgery theory. In which case shame on the book seller for asking $50 and presenting it as a signed copy. Caveat Emptor. What I failed to mention is Pete Gambitsky from Fireside Angler is an expert on this matter and has researched the topic enough to have composed a bibliography of this highly collectible title. And valuable, too, if your first edition hardback states “Adways” instead of “Always” on page 27. The moral of this story is the enjoyment from researching a book can eclipse the enjoyment from the purchase of a single book. And I saved myself $50 – which can now go towards the purchase of a 1930 Hardy’s Angler Guide (52nd edition!) which I left on the shelf because the covers were split. Hardly a detraction from such a marvelous paper catalog filled with great illustrations.